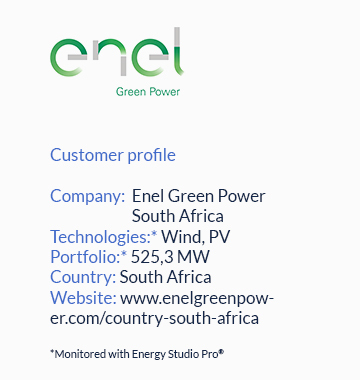 Based in Johannesburg, Enel Green Power RSA (Republic of South Africa) is the Enel Group’s subsidiary committed to the development and management of electricity generation from renewable sources in South Africa. With a mixed portfolio of solar and wind power plants, the Company is helping the Country to better shape the new trajectory towards circular economy and sustainable growth. Since 2016, BaxEnergy provides EGP RSA its turnkey solutions for improving power plants management, increasing performance and operating assets in a cost-effective way. Maintenance is an inevitable and essential part of asset lifecycle. Smart and lean maintenance planning improves asset efficiency, reliability and safety, positively impacting the bottom-line. The main challenge of Enel Green Power RSA was exactly in this direction: streamlining and digitizing daily maintenance workflows for Tom Burke photovoltaic power plants. 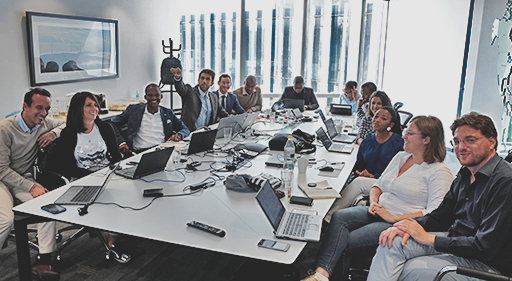 Company’s need was to turn from a fragmented asset management system based on SAP®, Excel and papers to a fully digital asset management platform able to interconnect assets, processes and people across the entire enterprise. The existing maintenance process was very complex and time consuming with high possibility of errors and omissions. Field operators used to manually fill checklists on paper sheets as well as a manual compilation on SAP® forms was made by the supervisor. Therefore, with such fragmented process, it was quite hard performing accurate asset monitoring and data analysing by the management, without a full overview of asset status and the automate calculation of custom KPIs. Since the very beginning of the project, BaxEnergy has adopted an agile and user-centric design methodology, tailoring made AssetStack® management solution via continuous software delivery and collaborative workshops with the people involved in the project. We started first from a deep analysis of customer’s needs, passing then to configure our platform following users and project expectation step by step. They are all lightweight processes and highly adaptable, especially compared to traditional waterfall methodology. The fundamental aspect is that all operations focus on user behaviour, context and reactions to the use of the product, enhancing the customer’s feelings of ownership in the solution developed. Thanks to this methodology combined with AssetStack® powerful capability and flexibility, BaxEnergy has been able to fully satisfy EGP RSA’s expectation, enabling smart and digital maintenance workflows, maintenance plan, pre-existing checklists as well as corrective maintenance. The maintenance planner can easily define the maintenance plan in a user-friendly way via web enabled tools, creating the maintenance activity groups and browsing the existing ones. The Supervisor can quickly access planned tickets and activities, view the details and proceed with work scheduling, activating tickets and assigning them to the plant personnel. Field operators have a complete overview of the activities to perform and better set priorities and planning other actions. Additionally, they can execute the daily activity through the dedicated AssetStack® web application that allows: i) checklist synchronization both online and offline to overcome the lack of connection on the field; ii) the capability to add comments, notes and to export all data to SAP® by Excel file; iii) the possibility to take and upload pictures of on-field interventions. Thanks to the integration of AssetStack® with Energy Studio Pro® monitoring platform, EGP RSA is taking advantage of many other strategic features among which the possibility to open tickets directly from the GIS interface; to receive custom alarm notifications as soon as inefficiencies are identified, and to easily build accurate reports based on advanced KPIs calculations. All in all, Enel Green Power RSA has achieved higher asset management reliability and efficiency, optimising processes, building a strategic knowledge base and capturing best practices for any future maintenance operations.